NETSURFERS – GET YOUR TRAINING WITH OUR ACADEMY! 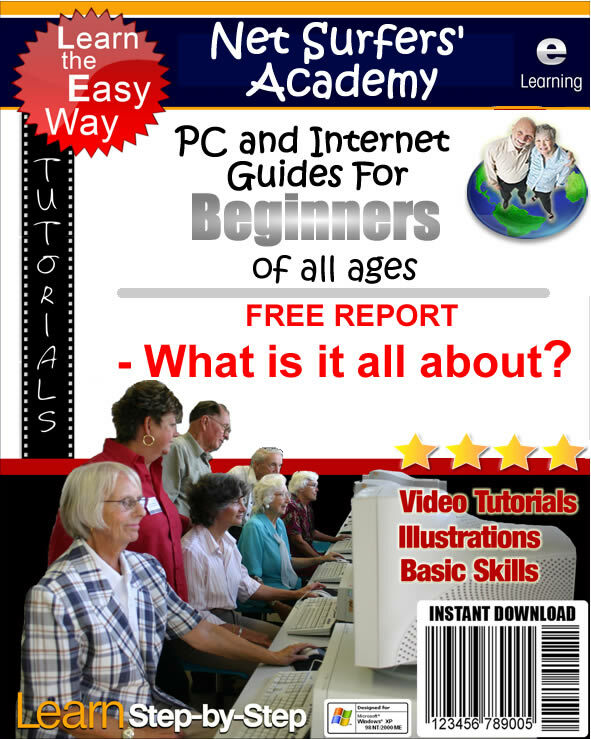 Do you have a friend or family member that you want to help get to grips with the wonderful world of computers and the Internet? Is there someone you know who has just bought a Computer or Tablet, or thinking about it, but you know they are struggling to understand how to use it effectively? There is so much to learn about computers and technology these days that it is difficult to know where to start! Do you go to college to progress to a qualification, do you buy books and try and understand from the theory, or do you get help from a friend or just struggle on by yourself and learn by ‘trial and error’? Only just purchased a PC, Laptop or Tablet and not sure how to set it up? We can show you how to set up your device and your Internet connection, and get you started on using your device effectively! Want to get the best deal on shopping, travel or Energy suppliers? Let us teach you how to find the best deals on-line so you can save time and money! Have you lost touch with friends or family? Learn how to use your computer, laptop or tablet to communicate with friends and family either by email, voice or video, irrespective of where they are in the world! Know the basics but need some help with more advanced topics? We can help you with more advanced Office software, or even help you design your own website! Why Choose NetSurfers Academy for your IT Training? We have had a number of years experience helping beginners of all ages get to grips with IT, using all the methods described above. It is great to see someone who sends their first email, or manages to purchase something via an online shop! We have also helped our learners communicate with loved ones across the world using video calling systems, and find out about their ancestors and create a Family Tree! SPECIAL DEAL FOR THOSE WHO ENQUIRE – LIMITED TIME ONLY! If you make an enquiry today, we will give you special access to a free report, that gives you explanations for lots of the jargon being used today about computers and other IT devices. The report will also give you help and advice about choosing a PC, Laptop or Tablet device that meets your needs. Select the Enquiry Button below to find out more! Browse the posts below to find lots of tips and tricks on how to use your computer more effectively. BOOK YOUR TRAINING SESSION NOW!